Roscoe Village is the hidden gem of Chicago's Lakeview community. 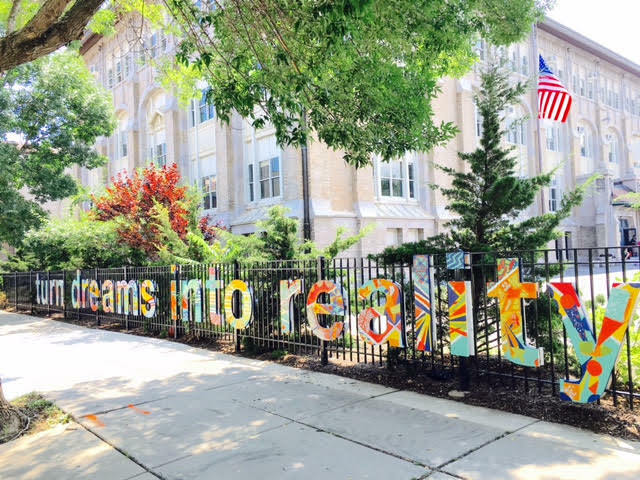 Located between Ravenswood and Western Avenues (westward), & Belmont Avenue and Addison St (south > north), the neighborhood has been popular with 'Northsiders' since the late 1980s. The housing inventory (contemporary, vintage, and transitional single family houses, condo conversions, new construction) boutique shopping district (Lush Wines is weekly stop for many), good schools, and cafe dining scene make it a perfect living destination. Transportation nearby: trains (Brown), buses (CTA) and an average flow of taxi cabs, livery, and Uber options. First thing, the sky is very gray--the weatherman says it may thunderstorm tonight. Secondly, the red and yellow advertisement on the bus stop bench at Western and Roscoe avenues indicates shoes can be had for $9.99. 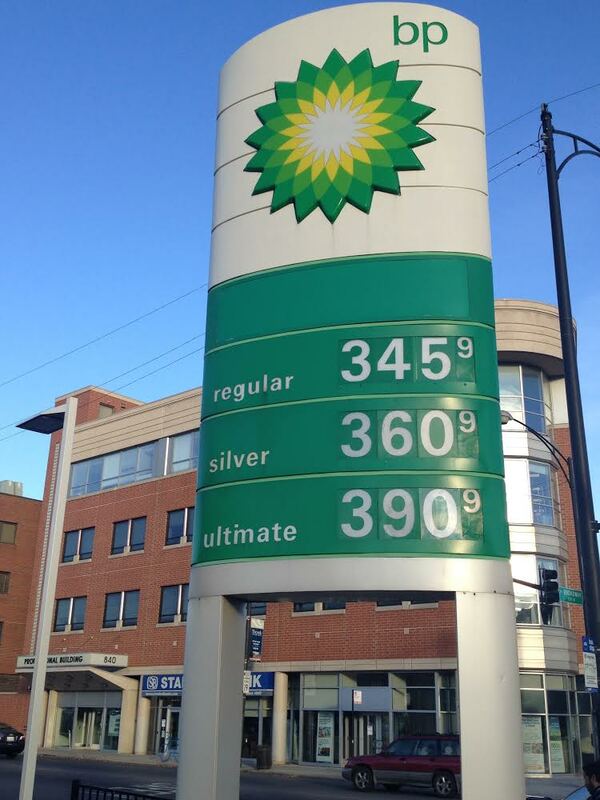 Lastly, 'Ultimate' gas is $3.90 per gallon throughout the city--and rising. I'm not even going to mention what else they are reporting on NPR this morning but I'll give you a hint; marshmallows and fairy dust are not in the week's forecast and traffic is, as always, unbearable. We should have seen this coming. I took the above snapshot only as an ex post facto exercise; simple documentation of an end result of existing fiscal uncertainty in our marketplace. To the untrained urban eye, the image is nothing but a typical north side Chicago intersection on a typical weekday morning. But for those of us in the know-- in other words, those of us who stayed awake during high school Economics class back in 1975--the picture validates what disheveled Mr. Finkle (Sprinkle Dinkle Wrinkle Finkle) in his short sleeve shirt and too-short soup stained necktie tried to warn us about; that according to the pre-printed Lorenz Curve on the back of his laminated pen protector, milk and gasoline would be $5.00 a gallon by the next millennium- a mere 25 years down the road at the time. A loaf of bread, too. Houses would become unaffordable to all but the very wealthy and pollution would kill all the birds and trees. China would rule the world, said he. Personally, I couldn't care less at the time about any of that. I vaguely recall raising my hand and asking if the pen protector protected the shirt from the pens or the pens from the shirt. After all, five bucks filled up my VW in those days and bought a pack of smokes to boot. High finance meant burning one in the parking lot before class. Still, somehow, the concept stuck in my memory bank along with Meritime Influence, Supply and Demand, and how to recite that ridiculous Middle English Canterbury Tale, "...The droghte of March hath perced to the roote.." thing. Public school education, to be sure. You see, I knew the price of gasoline would someday hover around where it is today (in fact, its even been much higher). Mr Finkle told us as much back in the 1970s. And milk? We drank the powdered version at home when I was growing up so the liquid, or anything that resembles it, never touches my lips to this day. I know Lake Michigan will stay cold until July and warm until October (relatively speaking) and what goes up doesn't necesarily come back down. The birds and the trees are on their own--hopefully God will step in on that issue. Chicago is gray 6 months a year and traffic is always unbearable, this we all know. I am even wrapping my mind (and business plan as a Realtor) around the whole unaffordable housing concept although foreclosures in my particular market have only increased a little above the norm and condo sales, if not brisk, are certainly occurring at a predictable pace. What I wasn't prepared for, and what caught my attention to begin with, is shoes for $9.99. Now that, in my estimation, is something to worry about. That, and possibly China. In the meantime, I traded the Bimmer for a Prius. Please keep your chuckles to yourselves.